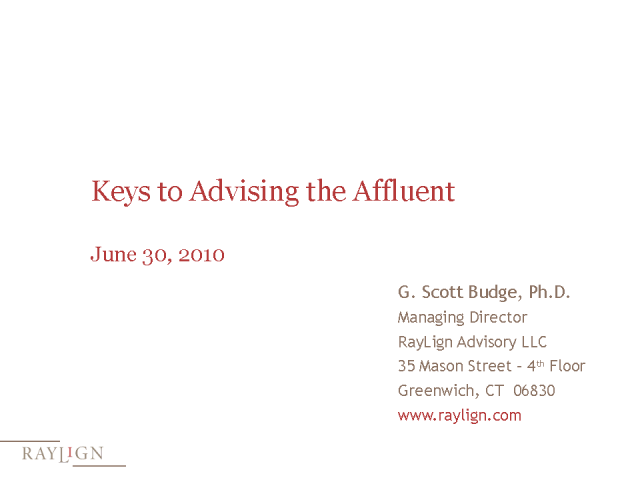 Attend this free, interactive webcast presented by G. Scott Budge, Ph.D., and learn key insights into advising wealthy families. Scott Budge is an expert in the dynamics of wealthy families, having worked directly with hundreds of entrepreneurs, corporate executives and their families. He has also worked extensively as a developer and educator of wealth advisors, which is the focus of his book, The New Financial Advisor: Wealth Management Strategies for Multi-Generational Clients (John Wiley & Sons).